This beautiful Fontignac Fondue Set comes with 4 fondue forks and a tea light candle. The thick enameled cast iron has two coats of enamel and the thickness of the cast iron is 4mm. It is dimpled to encourage self basting. The inside of the cookware is Vitrilis inside enamel (for easy cleaning). Suitable for use in the oven and on all types of cooking plates. Dishwasher safe. 4 cup capacity. Made in France. 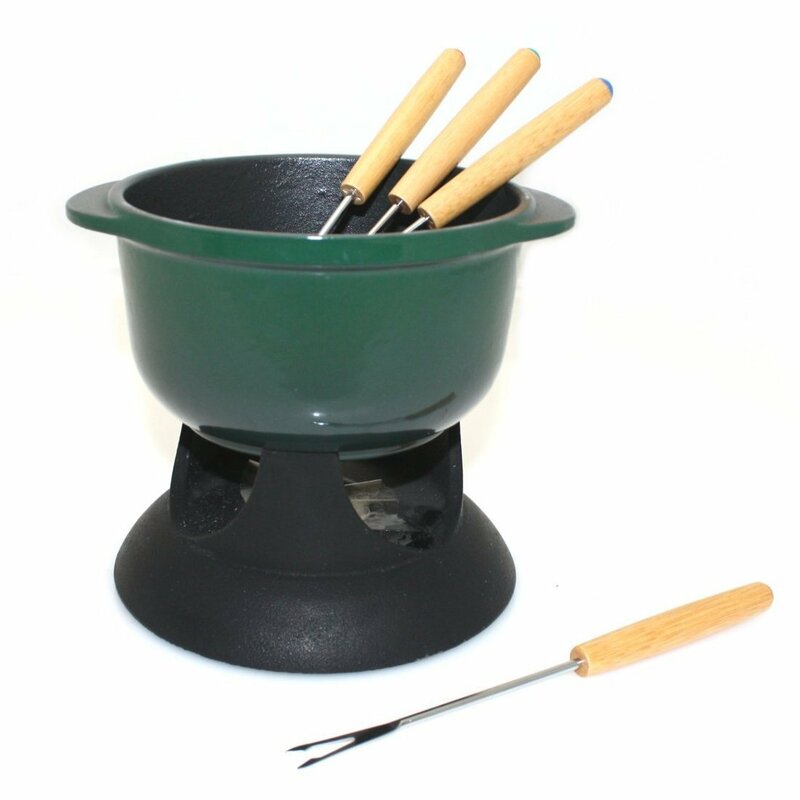 Click the button below to add the Enameled Cast Iron Fontignac Fondue Set with 4 Fondue Forks made in France green to your wish list.